Deprecated: Assigning the return value of new by reference is deprecated in /home/sites/prebait.com/public_html/include/class_forum_vb.php on line 21 Deprecated: Assigning the return value of new by reference is deprecated in /home/sites/prebait.com/public_html/include/class_forum_vb.php on line 24 Deprecated: Assigning the return value of new by reference is deprecated in /home/sites/prebait.com/public_html/forum/includes/functions.php on line 875 Deprecated: Assigning the return value of new by reference is deprecated in /home/sites/prebait.com/public_html/forum/includes/functions.php on line 879 Deprecated: Assigning the return value of new by reference is deprecated in /home/sites/prebait.com/public_html/forum/includes/class_core.php on line 2514 Deprecated: Function set_magic_quotes_runtime() is deprecated in /home/sites/prebait.com/public_html/forum/includes/class_core.php on line 1633 Deprecated: Assigning the return value of new by reference is deprecated in /home/sites/prebait.com/public_html/forum/includes/functions_login.php on line 215 Deprecated: Assigning the return value of new by reference is deprecated in /home/sites/prebait.com/public_html/forum/includes/functions_login.php on line 402 Coarse Fishing, Ballindooley Ponds, Galway, Ireland. Coarse Angling, Ballindooley Ponds, Galway, Ireland. The Ballindooley Ponds can be located north east of Galway city and off the N84 road 1 mile. There are two ponds here, and they have soft, shallow weedy surrounds. 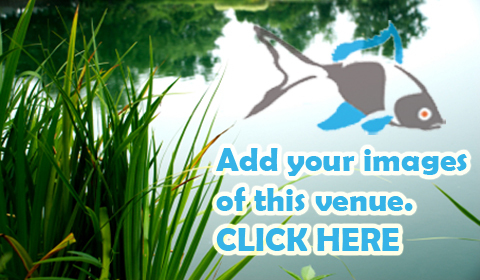 Fish you can expect to catch here are Tench of up to 6 lbs in weight, Rudd and Perch. 8 nearby venue(s) in the Prebait database, login/register to see these.